If you think Santa might bring you a new kitchen this year, it’s time to get thinking! The kitchen is a place for company and for love, so it’s important to get right. 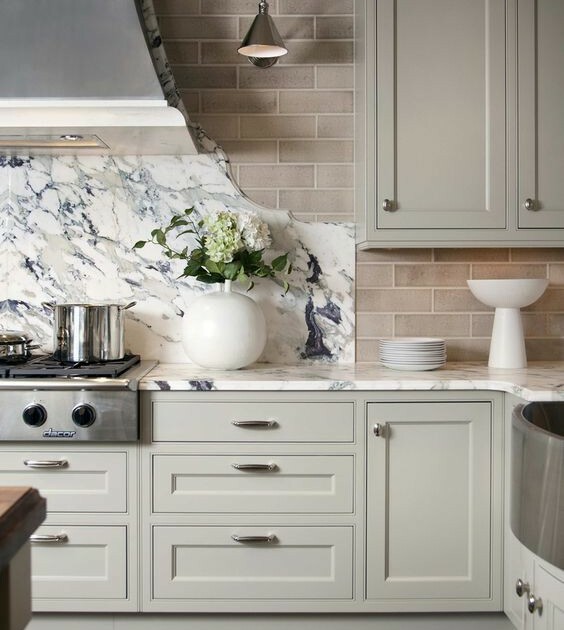 We’ve come up with 6 trends in kitchen designs that will help you get thinking about your special space. Ceramic slabs are steadily growing in popularity. 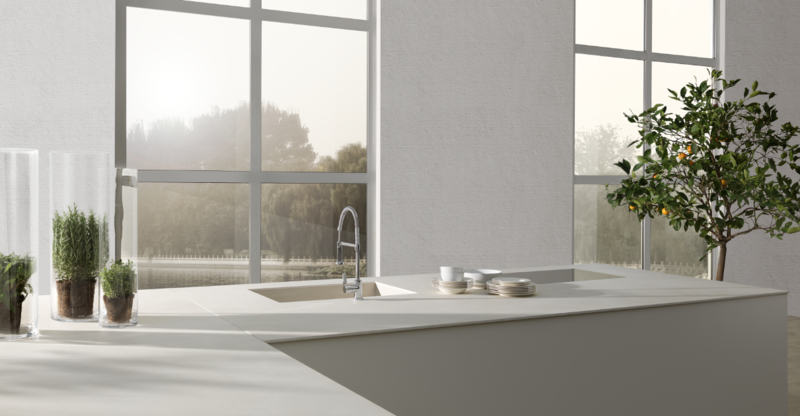 Porcelain is the perfect material for benchtops and splash backs it is light, resistant to heat, does not absorb liquid and easily looked after. Porcelain slabs have an immaculate aesthetic, LAMINAM slabs are laser printed to emulate natural surfaces such as granite, wood and marble. 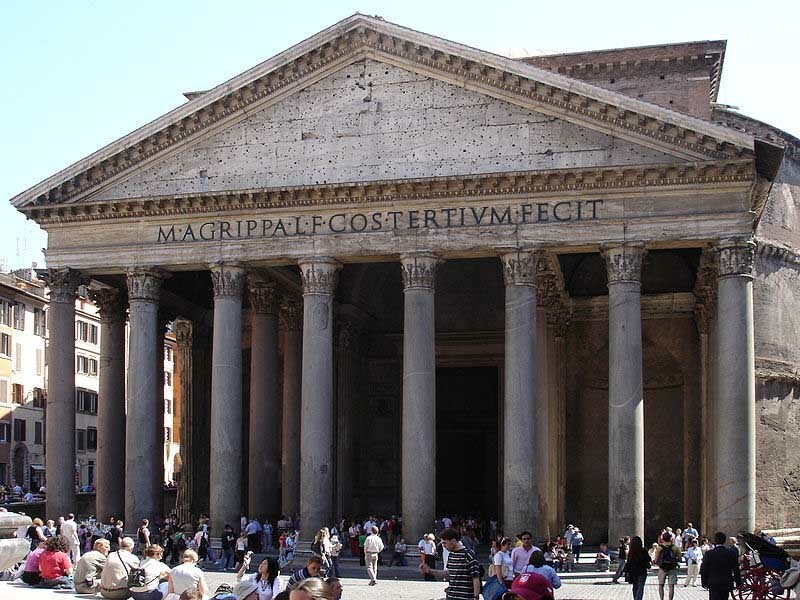 Historically, porcelain slabs have been problematic due to their structure often holding tension. 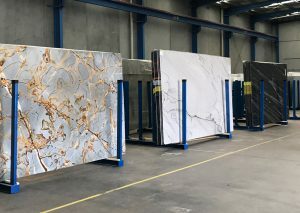 Recent advances in engineering and technology have allowed the creation of stress-free slabs, making them much easier to cut. 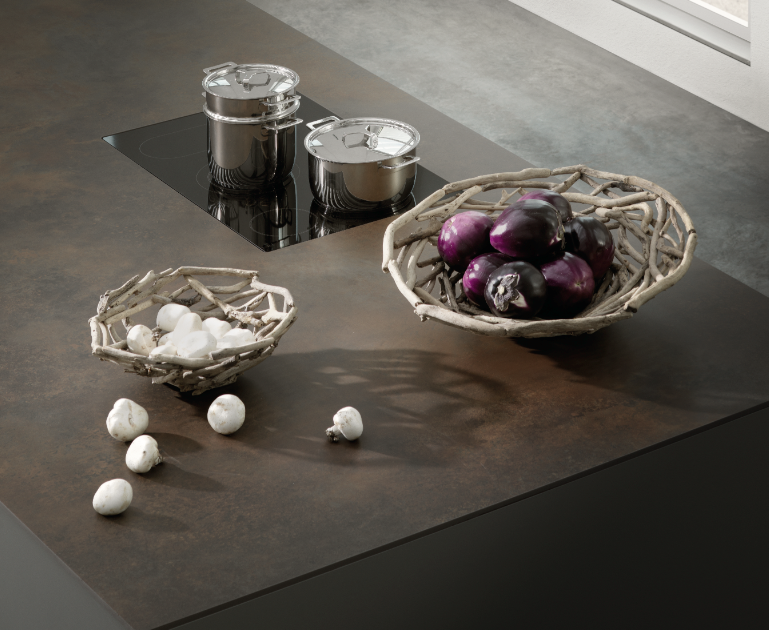 Dark coloured kitchens have less popularity this year, and soft, muted colour palettes are taking over. White is always a safe option – especially if you’re the type of person to get sick of a colour. 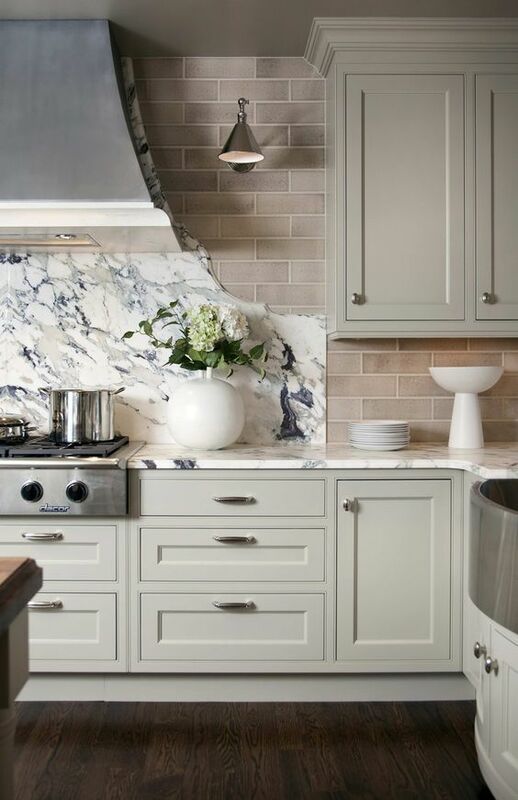 Soft light grey cabinetry is also set to make a comeback in 2017. Keeping permanent areas neutral means you can be flexible – stainless steel, copper, or coloured appliances can add splashes of colour where necessary. Large leafy hanging plants are a sure-fire way to brighten up any area of the home – especially the kitchen. If you’re not too great with plants, buying fresh herbs and keeping them in pots on the kitchen bench is a cute (and delicious) way to add some green to your home and also brighten up your meals. Highly polished stones are becoming less popular. 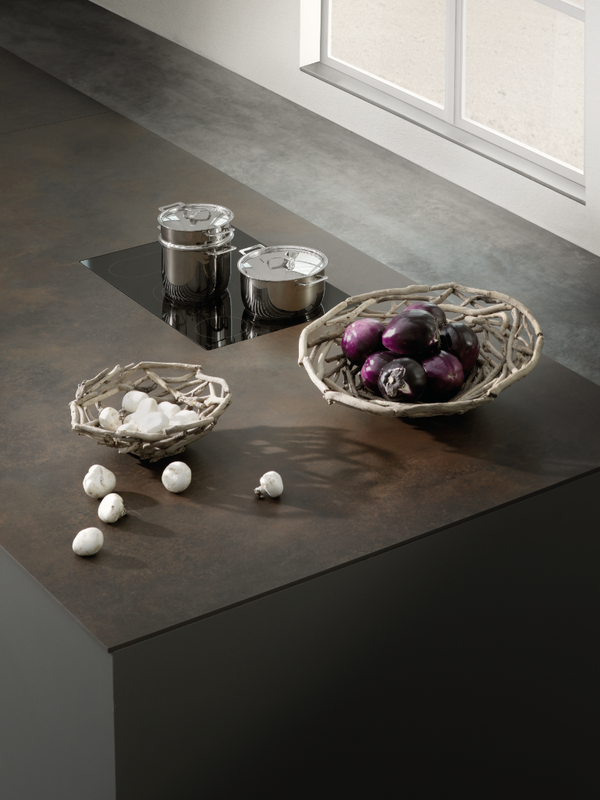 Designers and architects are opting for more organic finishes, in line with the material as it exists in nature. 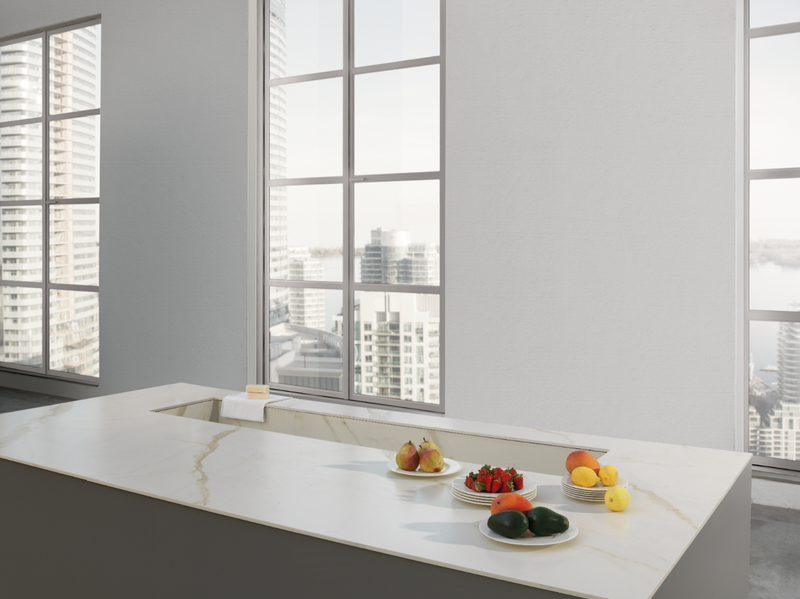 Compared with other stones, quartz tops the charts in durability and toughness. Crushed quartz stone is mixed with resin to produce countertops that range from solid colours to the look of natural stones. Quartz is very low maintenance, it does not have to be sealed annually. 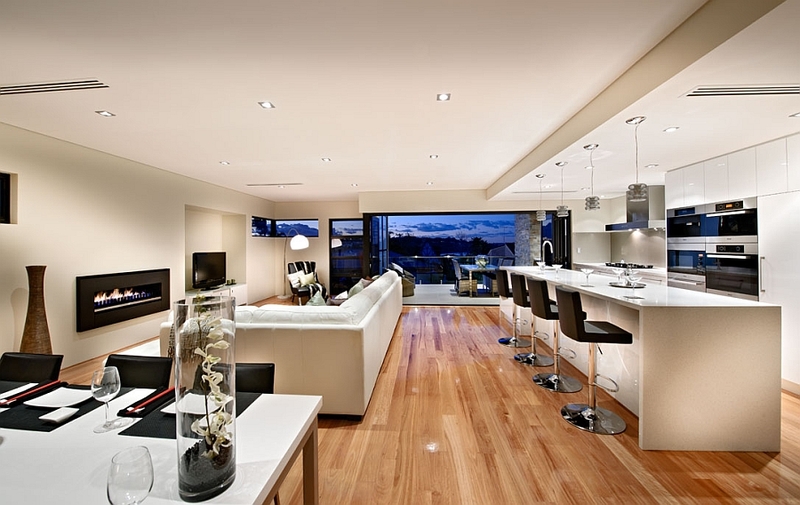 Open-plan home design has proved itself as truly desirable over the years. The kitchen is a place for people, for entertaining and for showing love. It just makes too much sense to have the kitchen and living areas merged, to have all the loved ones happy and comfortable together with no one locked away.